So much design coming out of such a tiny country! Inspired by my recent trip, Part 3 of this 3-part series on Israeli design focuses on architecture. 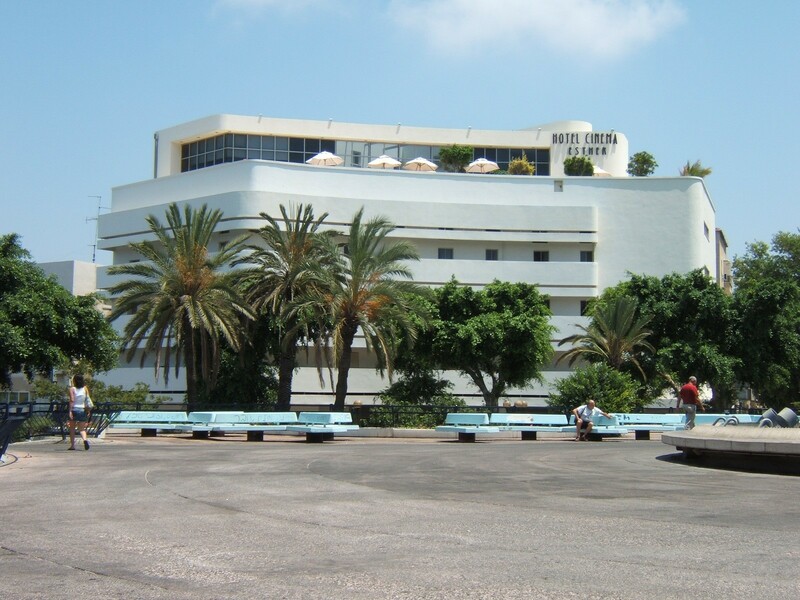 These sleek, modernist buildings were erected in the 1930s, when German Jews who were members of the Bauhaus school of architecture emigrated to Palestine as the Nazis gained popularity back home. With World War II approaching, more and more European Jews fled to Tel Aviv, creating a desperate need for construction to house them all. 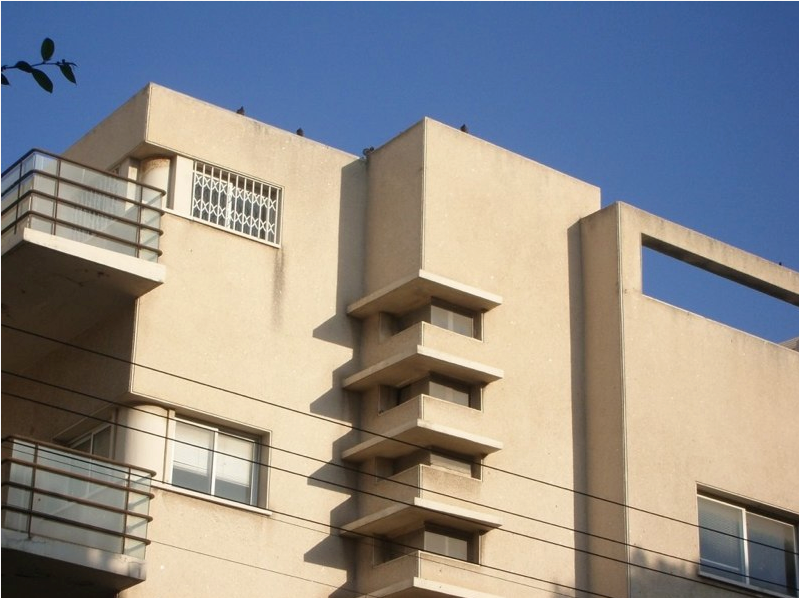 The Bauhaus style's lack of ornamentation meant apartments could be built quickly, and today, Tel Aviv is home to more Bauhaus buildings than any other city in the world. 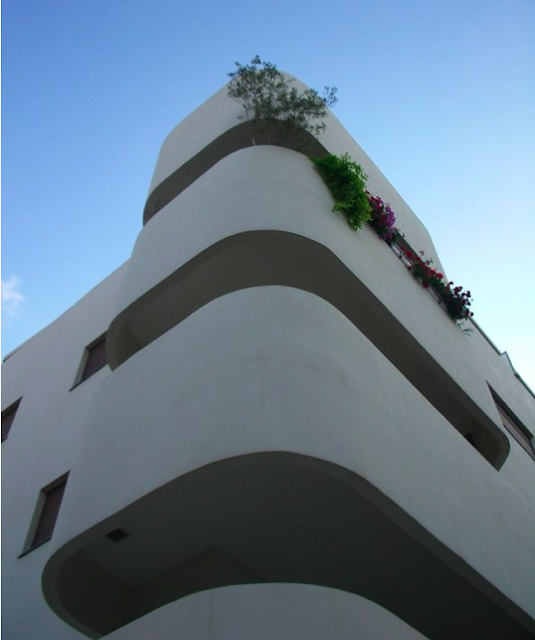 Of course, not all buildings in Tel Aviv are Bauhaus, and the building I photographed below is one of my favorites. I believe it's "eclectic style" (but please don't hold me to that). Jerusalem is also home to some impressive 20th century buildings, but they're awfully hard to notice when 2,000 year old structures are everywhere you turn. Ancient meets modern: a basketball court abuts Jerusalem's Old City walls. wow did you take these? beautiful! These are freaking AWESOME! Love, love the architectural details of these buildings! Thanks! I took all but 3. Awesome photos and series. Great work!! The buildings are amazing..incredible shots! this is beautiful, i would love to visit there sometime! !